Mainstream medicine says there's no question that childhood vaccines save lives and prevent outbreaks of serious disease. But despite overwhelming evidence to the contrary, skeptics still insist vaccines are dangerous and can actually cause autism and other illnesses. Those parents can in some cases get a medical exemption from vaccinations required to attend school in California. NBC 7’s media partner, the Voice of San Diego (VOSD), found that the San Diego Unified School District has approved 486 medical exemptions to the vaccine requirement, since 2015. Public records obtained from the SDUSD by VOSD, reveal that Dr. Tara Zandvliet has written nearly one-third of those exemptions. According to Zandvliet’s website, children will be considered for an exemption if four relatives in their extended family have one of several autoimmune conditions. Hives, food, bee sting and other allergies might also qualify a student for an exemption. Critics say Dr. Zandvliet's basis for an exemption is based on an unproven theory that a family history of allergies or autoimmune disease is a medically acceptable reason to avoid a vaccine. “It’s another example of somebody basing a decision -- in her case to issue a medical exemption -- based on a theory with no evidence,” said Dr. Mark Sawyer, a pediatric infectious disease specialist at Rady Children’s Hospital. “In the meantime, I’ve got lots of evidence that by letting our immunization rates drop, she’s creating a problem, because we’re seeing these outbreaks of disease,” Dr. Sawyer told NBC 7. In a series of emails and phone conversations with NBC 7, Dr. Zandvliet said she’s being unfairly vilified for helping families navigate what she said are the complicated medical issues surrounding childhood vaccines. 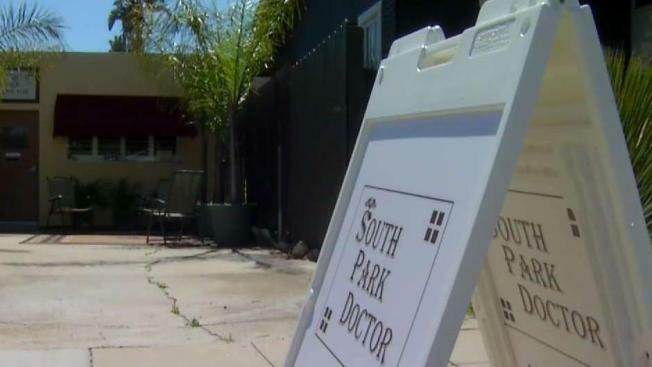 Dr. Zandvliet, whose office is in South Park, noted that she rejects seven of every ten requests for vaccine exemptions and said she often counsels patients to have their children vaccinated for some or all childhood diseases. Dr. Zandvliet also said she has vaccinated close to 100 children for measles so far this year. One outspoken “anti-vaxxer” told NBC 7 that Dr. Zandvliet refused to give her children a medical exemption, based solely on her child’s asthma diagnosis. “I am damned by the anti-vaxxers for having too strict a criteria and being a pro-vaccine doctor, and damned by the pro-vaxxers for being too lenient and being an anti-vax doctor,” Dr.